California-born singer/songwriter Amber Rubarth is part of the new old-soul generation. Born in the '80s, Rubarth started writing songs by her early teens. Straight out of high school, she gave up the notion of college to work as a sculptor's apprentice, wielding a chainsaw. After a few years of that, Rubarth says she "put down the chainsaw and picked up a guitar." Now she bravely and passionately drives around the country performing with fervor and glee. Download the lo- and hi-fi magic track "Show Your Weakness," from Rubarth's 2008 release, New Green Lines. It flows with grace. Currently touring. Western-swing crooner Hank Thompson was born in Waco, Texas, in 1925. Hank played harmonica as a boy, graduated to guitar, and by high school he was a regular on local radio. During WWII, Thompson was sent by the Navy to study electrical engineering at several schools, including Princeton University. He was destined never to practice his trade--music swept him away, and by 1946, he released his first side. In the 1950s, Thompson moved out of the honky-tonks and into radio stardom. He cut wax for Capital and Warner Records and sold over 60 million units in his 60-plus-year career. Accolades include election to the Country Music Hall of Fame and the Nashville Songwriters Hall of Fame. Thompson passed away in 2007, leaving a magical catalog of works to relish. 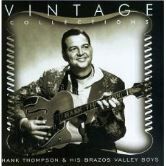 Get "Yesterday's Girl," from Vintage Collections: Hank Thompson & His Brazo Valley Boys. Unkle is the London-based ambient electro-rock duo of producer/musicians James Lavelle and Pablo Clements. Founded in 1994 in Brighton, by Tim Goldsworthy and Lavelle, the band has also included D.J. Shadow, Richard File, and Masayuki Kudo. Unkle has released four albums plus dozens of singles and remixes to date. Collaborations include Mario Caldato Jr., Richard Ashcroft, Thom York, Tortoise, Jon Spencer Blues Explosion, and Black Mountain. Among their credits are a plentitude of film and television soundtracks such as Push and The X-Files. Download the arresting "Reign (Anagram Remix)," from Unkle's 2004 Reign (Remixes) EP. Currently touring. Gospel/soul singer Doris Duke was born Doris Curry in southern Georgia. Her early love of church music led to stints with gospel units The David Sisters and The Caravans. By 1966, Duke had recorded her first side for the Hy-Monty label, but its underdog status pressed her into session work. Duke became a singing staple for producer legends Gamble and Huff. In 1969, she signed with guitarist Jerry Williams Jr. (a former Atlantic Records honcho) and recorded her critically acclaimed LP I'm a Loser. The album eventually landed on the Canyon label. "To the Other Woman" made it to the top 10 on Billboard's R&B chart. Collaborations include Patti Labelle. This great lady sings from a very deep and profound place. Get her 1970 track "Feet Start Walking," from Doris Duke: Greatest Hits. The Cloud Room is the inspiring Brooklyn rock ensemble of J Stuart, Jon Petrow, Jason Pharr, and Chris Shade founded this mid-decade. After surviving an avalanche of difficulties, The Cloud Room thrived and has given us three releases to collect. Credits include a global Pepsi spot. Collaborations/tours include New Jersey's Nicole Atkins, Feist, The National, Elbow, and Muse. The band is currently in the studio working on their next release, so in the meantime, download "La La Losing," from Please Don't Almost Kill Me-EP. Memphis' flinty rap unit Three 6 Mafia was founded in the early '90s as Triple 6 Mafia by production team Juicy J (Jordan Houston) and DJ Paul (Paul Beauregard). Lord Infamous now rounds out the lineup. Past members include Crunchy Black, Gangsta Boo, Koopsta Knicca, Project Pat, and Indo G. Three 6 marked their place in showbiz history when they became the first rappers to win the Best Song Oscar with "It's Hard Out Here for a Pimp" (from the 2005 film Hustle and Flow). With ten albums to date, Three 6's credits include video games, a bevy of film and television tracks, and their own MTV reality show, Adventures in Hollywood. Collaborations include Justin Timberlake and Timbaland. They've got tons of guts and tons of swagger. Revisit "Shake Dat Jelly," from their 2003 release Da Unbreakables.